This AEM strut tower bar is a completely welded structure custom fit for specific Scion FR-S and Subaru BRZ models. It provides additional rigidity to the strut towers while the car is driven aggressively through turns. This strut tower bar was designed with a brake master cylinder brace. The brace was designed to increase brake pedal firmness and to make braking performance more predictable. 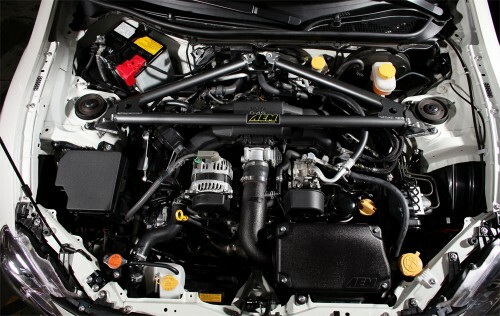 Installation of this strut tower bar is simple as it uses common tools and OEM mounting points.